Over the time the transportation time for the concrete down with dumpers will be a problem. Truck speeds are multiplied by comparison with the equipment installed on unsupported platforms as dumpers so this issue can be solved if only there is space enough for a truck. SARAKA underground / mining equipment offering consists of truck based low-height transport mixers and equipment suitable for underground use for concrete spritz and for pumping standard quality construction concretes. SARAKA has been manufacturing low truck-based mixers for the mining industry in different versions since 1989, when our first hydraulically retractable low height mixer equipped with telescopic drop chute was delivered. We have paid particular attention to the durability of the equipment against mechanical stress and wear as well as solving the issues from condensing of humidity. 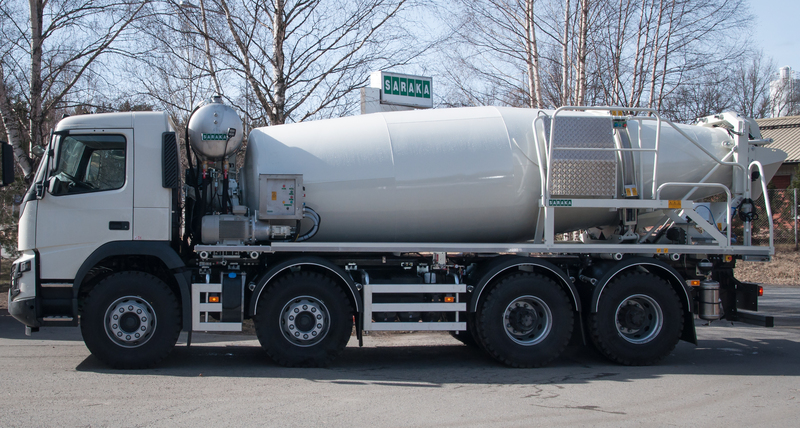 SARAKA special mixers developed for underground construction are mounted on a truck chassis. 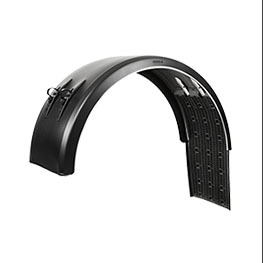 The device has been manufactured using a flexible superstructure that is particularly suited to the most demanding driving conditions. 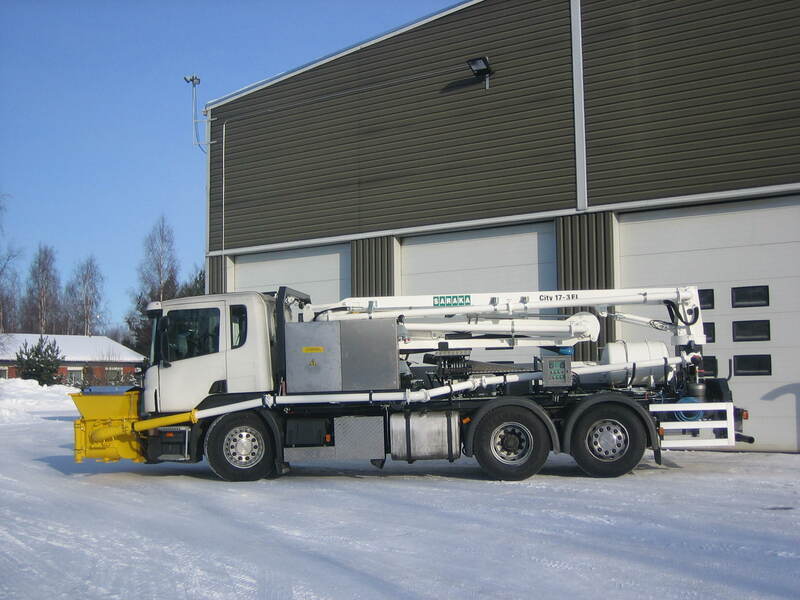 Depending on the height of the chassis frame, the total height is 3000 – 3200 mm. The design has taken into account all the demands of the underground construction sites and mining industry. 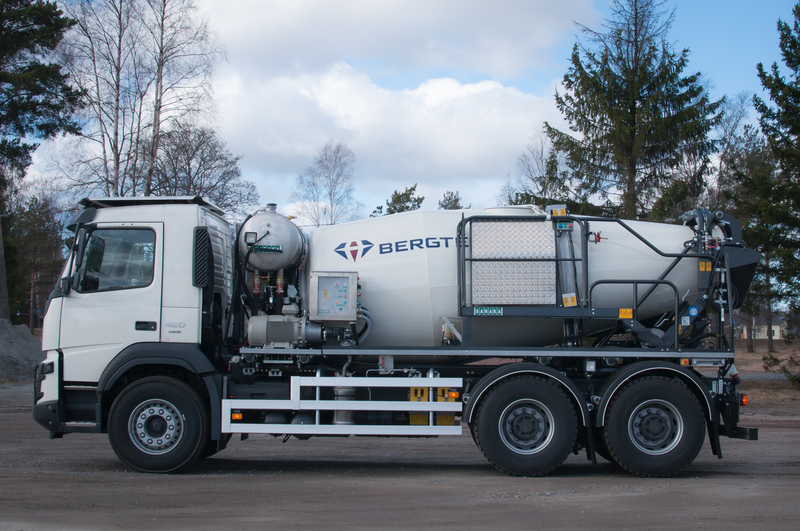 For old mines and other narrow space underground construction sites the LSB 8 GN transport mixer on truck chassis gives best value for money when the effectivity of concrete transportation becomes an issue. 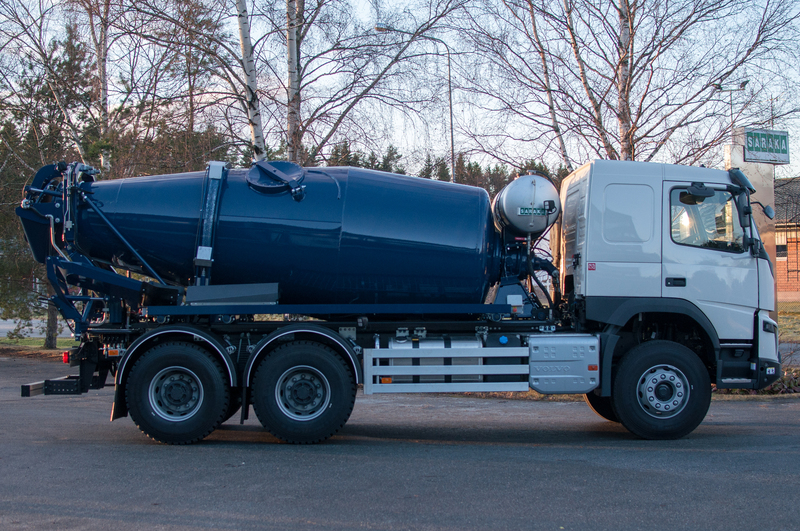 The SARAKA special mixer for underground worksites is equipped with a central filling hatch and a hydraulically operated, fully sealed tailgate. The waterproof hydraulic tailgate opens up to 90 degrees, providing direct access inside, for example. for flushing the rear vanes. 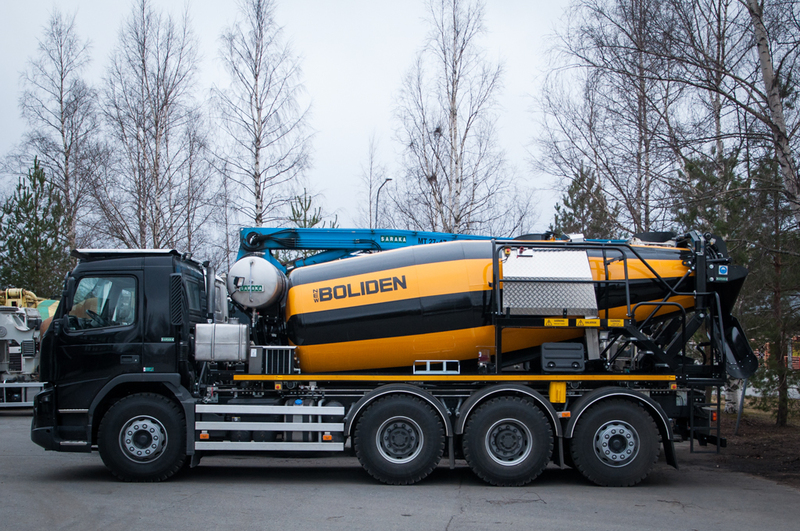 Two hydraulic cylinders on the tailgate ensure tightness even in demanding road conditions. The mechanical filler hatch in the middle of the tank is 600 mm in diameter and opens when filling directly onto the side of the tank. 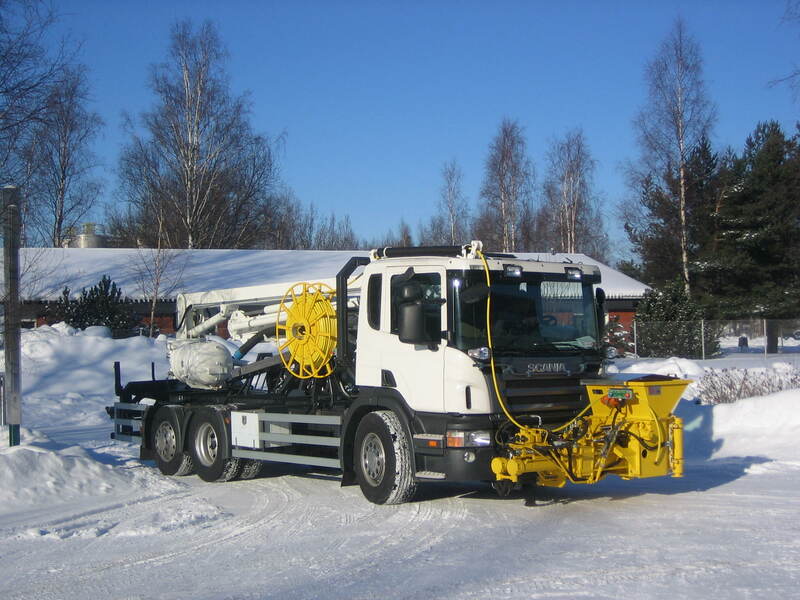 There are only few restricting factors for implementing a SARAKA underground transport mixers on truck chassis. SARAKA mining equipment can be mounted quite freely by the customer’s choice of chassis as an alternative to diesel alone, as well as an electric / diesel plug-in hybrid to avoid underground emissions. 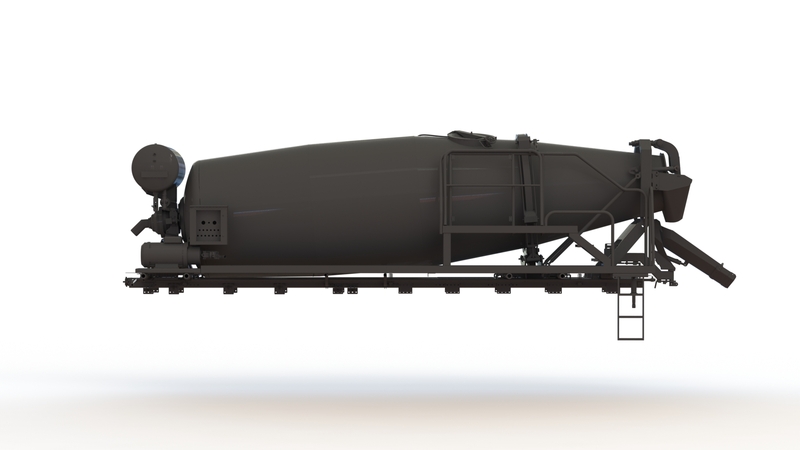 This model gives the best economy on 3 axle chassis, if the transportation to the underground construction sites is not too narrow for a bit longer chassis. 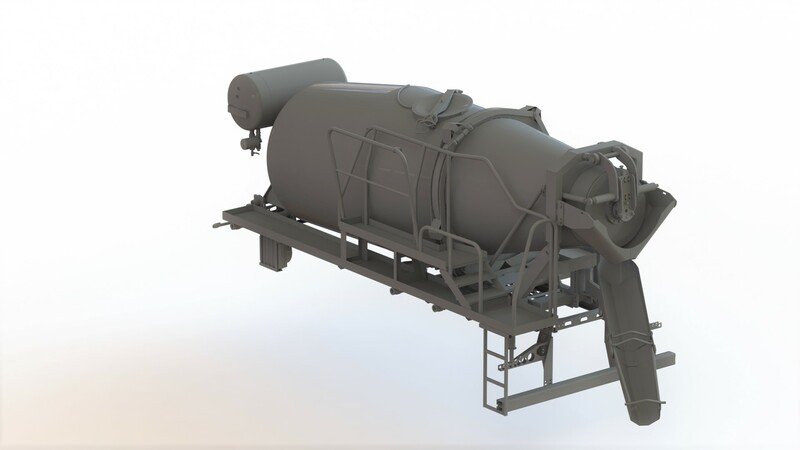 This model gives the maximal transport capacity on 4 axle chassis.The total operative weight becomes near 47.000 kg and thus this beast for underground transportation needs good roads down to the construction level, preferably covered with asphalt. Slowdown at downhill with this weight need to be considered whilst choosing the equipment for chassis. 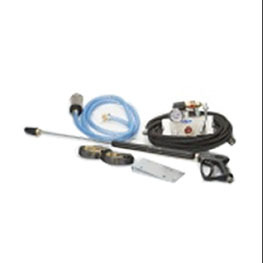 Underground pumping sets demands on equipment as the space is very limited and exhaust emissions may create deadly issue. Concrete pumping demands a lot of energy and thus we’re unable to utilize the electrical 400 V connections of a conventional site. 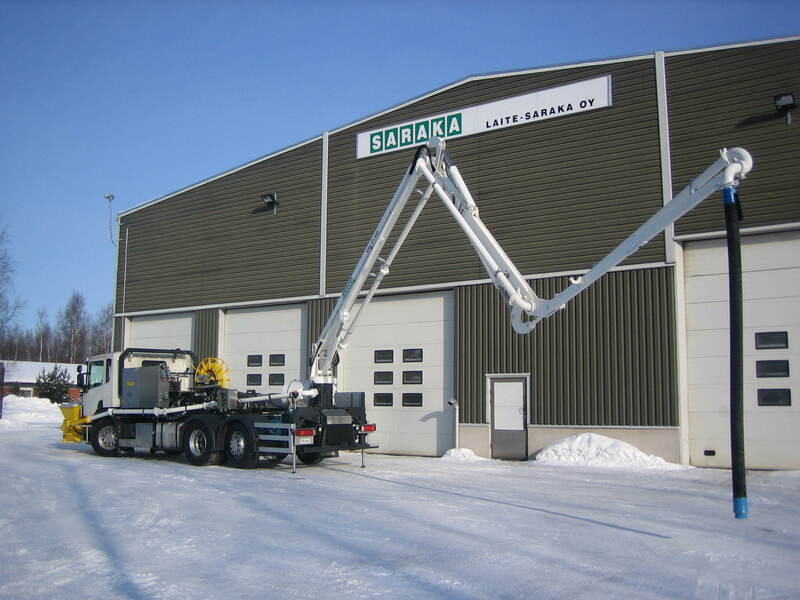 Notwithstanding these demands SARAKA has accordingly to the customers wishes developed and manufactured a low constructed concrete pump with M17-3Z.4″ delivery boom mounted on truck chassis. The device is equipped with a diesel-electric 1000V Plug In hybrid operating system. This underground pump achieves a very comprehensive dimension because the cross-mounted concrete pump and the tower with their support legs are mounted on the extremities of the device. 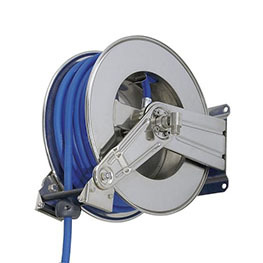 In addition, the system is supplied with a 100m hydraulic cable which can be connected to the electric network. 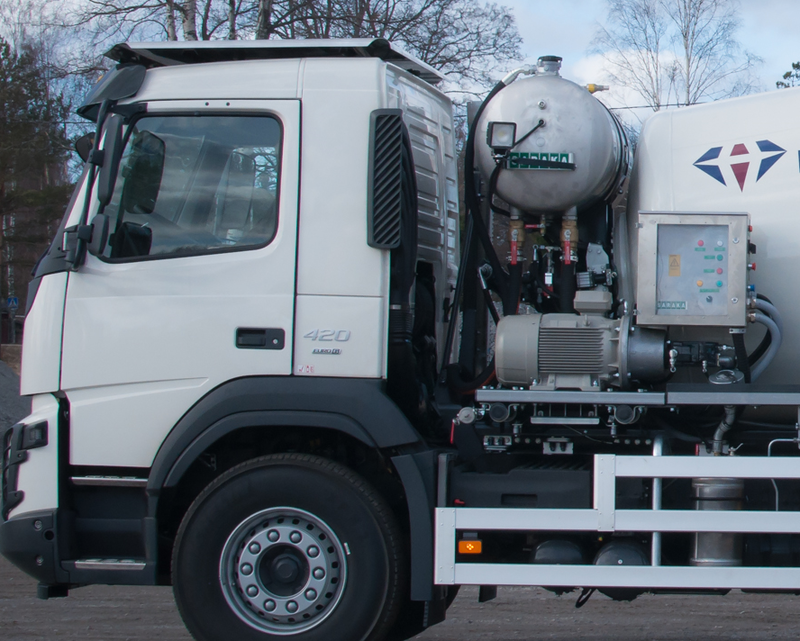 Through the transformer, the pump can also supply power to the transport mixer whilst unloading to the pump, whereby the underground operation can be fully without emissions.